There's no doubt about it: People are living longer and need more money to support their extended life spans. In the U.S. alone, the average life expectancy has reached the mid-80s for people turning 65 today, though it's not unusual for someone to live well into their 100s. Longer life spans should be a reason to rejoice — after all, it means additional memories and experiences that come with having more time on earth. However, living longer also brings legitimate concerns about saving enough money to support such a long stay. If you're uncertain that you'll have enough money to enjoy a retirement of 30 or 40 years, you should start planning now. Take a look at how living longer could affect your retirement income and what you can do to prepare for it. Much of the financial advice for retirement hasn't considered a retirement period that could last 30 or 40 years. If people aren't advised to save enough during their career, they'll likely have a smaller nest egg that will be depleted much faster. In the case of a long life span, saving the typical 10 to 15 percent of income traditionally recommended for retirement probably won't be enough. There are a couple of ways your investing strategy may change with a longer life span. For one, you may find yourself using catch-up contributions and may opt to max out every retirement vehicle you can as early as your 40s and 50s. Then, there's the idea of allocation and risk. Morgan Ranstrom, CFA of Trailhead Planners, says that moving away from equities into bonds may no longer be a good strategy. 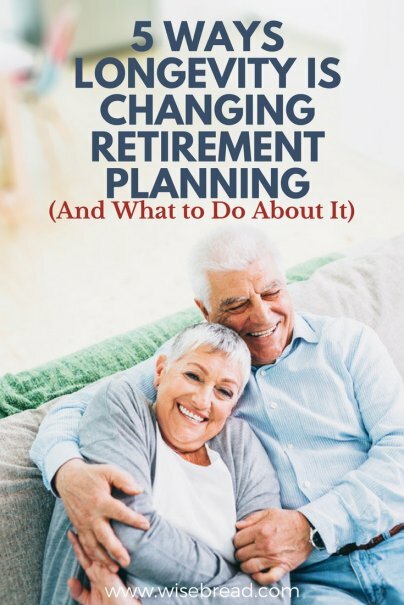 "It may be necessary to maintain more stock and/or risk exposure in a retiree's investment portfolio to reduce the risk of outliving their money," he says. Michael Dinich, professional estate and tax planner, points out that, "Many universal life policies were funded at a level that would only guarantee coverage until mid-80s." Extending policies for older retirees can be extremely costly, leaving people without coverage when they need it most. Check your existing insurance policies to find additional products that may cover your needs. For example, some policies can be converted partially or completely once the term expires so they last longer. There may also be hybrid products that cover a combination of life, burial, and long term care. The key is to check into these options early to prevent being ineligible at an older age. Living longer means you may need to keep working longer to continue growing your retirement savings. Kevin Langman, financial planner at Finovo, says he sees clients with a more fluid concept of their working careers. "Instead of working to a set date and stopping," he explains, "we see careers going through stages, with a few decades of full-time work followed by a shift to more part-time and passion-fueled work." Brian Saranovitz, of Your Retirement Advisor, says that planning for inflation can be tricky such a long way out. He says, "In some cases, retirees will need to create an inflation-adjusted retirement income for 25, 35, or possibly more years." With such a far-out horizon, it can be hard to pinpoint exactly how much inflation will affect an asset base. Roger Whitney has been a financial adviser for 27 years. He sums up the idea of a longer retirement in this way: "Traditional retirement planning worked for our parents. They lived retirement on the park bench of life. The modern retiree will likely live longer, be more active, and spend more in retirement. They'll still be on the playground." Personal finance writer, and founder of the Principles of Increase blog.